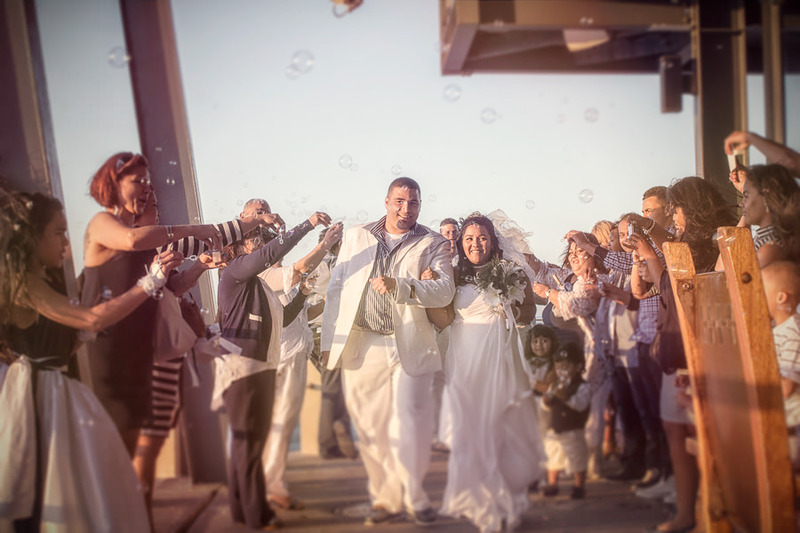 The ceremony was truly unique, held at the pier of Moyo at uShaka. A beautiful altar was set up right at the end of the pier, with chairs set up for the guests. Not many couples are able to say that they were married on a pier, and I'm just happy that I was chosen to photograph the moving ceremony. After the ceremony we were able to use uShaka for some creative shots, which was a lot of fun. Usually a tourist, it was refreshing to see it in a different light. The reception was held at the main Moyo restaurant and was a real blast. Moyo's hosting of the reception was great, the decor and table settings so eclectically suited to the entire wedding. We were treated to an amazing performance by the dancers at Moyo, a real treat.